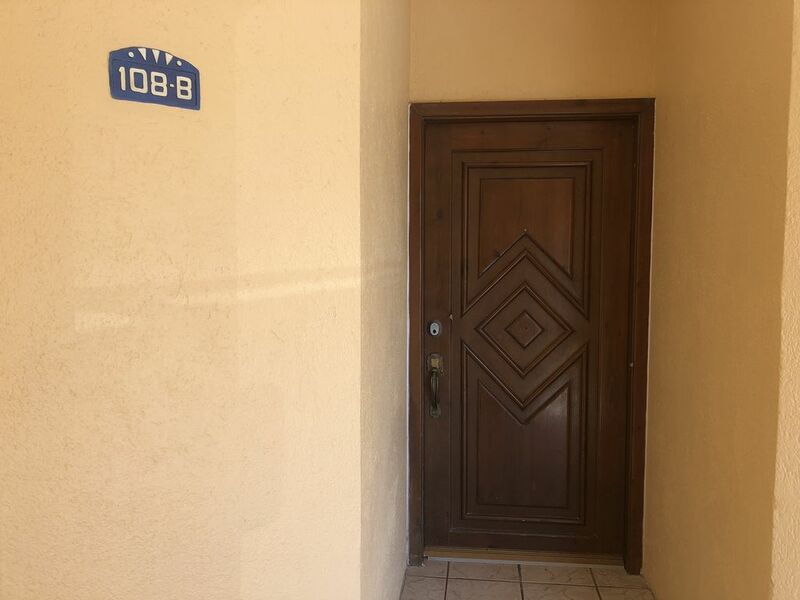 At Princesa De Peñasco you will find all the amenities that you want to have during your stay. You will have Collin's restaurant, the most fun restaurant in all sandy beach. Convenience store, a volley ball court, a club house with fitness area, BBQ areas, 3 pools (one of which is heated from November thru February), and a Jacuzzi, among other amenities. The resort is ocean front, and you are within a short walking distance of the water. As you come into the unit you will first find the charming kitchen, with white cabinets and a tile counter top. You will find all the appliances you might need to prepare a nice meal. And there are three bar stools in which you can sit at the counter to have breakfast or a light snack. Then you will come into the dining room where you have a round table and 6 beautiful high back cloth lined chairs set, which is perfect to have a family dinner or plan your activities for the day. The living room is filled with the most adorable sofa set of a large beige couch and a red love seat. There is an entertainment center with TV, DVD and stereo. There are movies which are there for you to use, books and other entertainment such as board games. Come out through the sliding door to the outside, you will find the beautiful gardens. You can sit in the patio set of wicker chairs and low coffee table, to admire the day, and avoid the hassle of using stairs or elevator. The master bedroom is great; it has a queen size wrought iron bed, and side tables. It has its own bathroom with a bathtub. The second bedroom also has a queen size bed in wrought iron bed. This bedroom shares the hall bathroom. It is special for two couples or a family of up to 6 people. Come stay with us, enjoy the beautiful views you will have from our patio. Enjoy all the comfort of being at the ground floor and being on the most beautiful beach.